Ceilings dripping with stalactites, Hinagdanan Cave is a marvel in stonework. 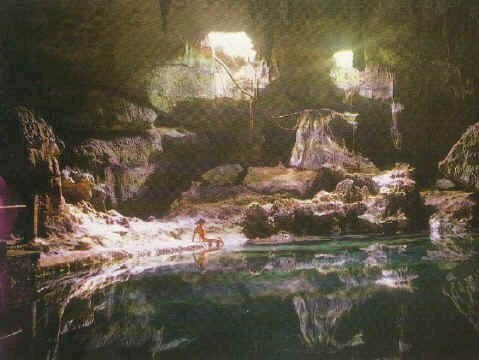 Its underground pools with their limestone bottoms glimmer clear and green, and are lit up dramatically by natural skylights that enters from two holes at the cave's roof creating an eerie and remarkably beautiful natural effect. It is situated two and a half kilometers from the Dauis town proper.